Prolaborate is a software platform that allows you to consolidate all of your business knowledge in one repository and enable seamless engagement and collaboration from the business community. 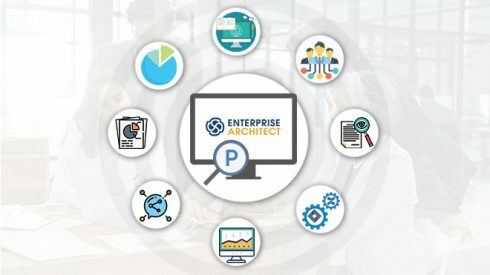 From its origins as a collaboration-boosting add-on to Sparx Enterprise Architect (EA), Prolaborate is rapidly evolving into an enterprise-level platform for personalized content sharing and integration of multivendor tools like Jira, Confluence, SharePoint and eaDocX. More and more enterprises are leveraging Prolaborate to collaborate on creating EA models and to share content with wider audiences of business stakeholders and other non-EA users. Prolaborate extends the reach of EA models and maximizes their value by offering capabilities to publish, build dynamic reporting dashboards, and conduct reviews across stakeholders. The platform includes extensive capabilities for customizing dashboards and views. In gaining more enterprise customers along the way , Prolaborate has added seamless integration with platforms that include Jira, for user stories and issues tracking; Confluence, digital documentation repository and SharePoint enterprise knowledge management portal, for example. Here are seven proven ways for using Prolaborate to reach the right audience in the right way with your model information. EA Models can be viewed anywhere, anytime from web browsers on tablets and PCs, using a simple, contemporary interface. Prolaborate is outfitted with full Active Directory (AD) integration, so it’s easy to set up access permissions for sharing specific content to AD groups or individual users. But how about sharing information with non-EA users? Just take a URL from Prolaborate and embed it into tools such as emails, SharePoint pages, wiki articles, or intranet pages. Prolaborate links are based on the structure of the underlying EA model, meaning that even if the model changes, the link will still work. You can also embed live, interactive views of EA diagrams, packages and elements in enterprise knowledge management systems such as Confluence and SharePoint. Users can always view the most current information. Let static images become a thing of the past. Team members can now work together on live diagrams. You can create different EA browsers for the same EA project, including browsers that only show models relevant to business users. Through a feature called Live Sync with EA Projects, end users are always shown the most up-to-date content. Prolaborate connects to EA models directly, streamlining the transfer of contents between models and greatly minimizing HTML publishing and XML Model export efforts. Prolaborate can keep designated stakeholders aware of changes to models. You can send out customized email and in-app notifications about model updates. You can also discuss projects on-the-fly and receive immediate feedback. Create context-based discussions and send out invitations to engage all of your stakeholders and gather comments quickly. Utilize collaborative workflows and export discussions as evidence. Through Prolaborate’s search function, you can search across any EA information as well as any discussions and comments that users have generated. Enterprise Architecture includes several tasks that require careful analysis of EA models. Prolaborate provides a user experience-drive portal with advanced reporting dashboards and superior impact-analysis graphs based on EA data. Through Prolaborate’s dynamic reporting capabilities, you can create reports and graphs to answer key business queries and present it to higher management. Users can click on the reports and graphs to get more detailed information, if needed. Dashboards can also be customized by user for personalized experiences. Prolaborate also features advanced model governance with granular access control. You can greatly reduce the degree of complexity displayed by controlling the visibility of packages and artifacts to various user groups. By using built-in widgets to choose a mix of artifacts and attributes, you can create custom forms designed for different users. End users see only what they’re interested in seeing. Speed up reviews by getting specialists to perform the detailed reviews and managers to approve based on their recommendations. Design custom review dashboards and share these with all stakeholders. Produce timed reviews utilizing any EA information and any combination of end users. All the review information and discussions will be documented in a single place. Jira integration is a boon to teams using Jira for capturing user stories/issues and EA for modeling, use case definitions, and requirements. In Prolaborate, it’s easy to create a bidirectional link between EA and Jira. You can view EA models and related Jira items in a single place. Prolaborate also integrates with the EA add-on eaDocX to let you share and collaborate eaDocX documents from Prolaborate. Without use of Prolaborate, current solutions require considerable data transfer between tools and data duplication to achieve unified views. Prolaborate greatly minimizes overhead. Create dynamic, self-refreshing, EA Model based pages in Confluence. You can also embed live, interactive views of EA diagrams, packages and elements in enterprise knowledge management systems such as SharePoint. Users can always view the most current information. As we’ve seen, Prolaborate enables seamless engagement and collaboration from the business community by simplifying the consumption of Sparx EA Models. Visit www.prolaborate.com to learn more or reach out to Prolaborate through [email protected] for a quick demo.